Pictured at the Christmas Fashion Launch Limerick were Celia Holman Lee (centre) with models, Grace Walsh and Aoife Hannon. Picture: Alan Place/Fusionshooters. Ireland’s leading stylist and fashion icon, Celia Holman Lee is bringing the latest fashions to the streets of Limerick in the run up to Christmas. 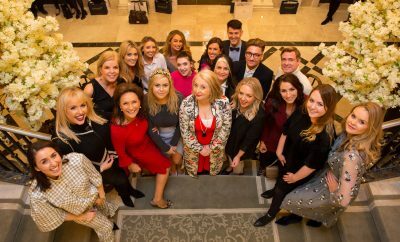 ‘Celebrating Christmas in Limerick – The City of Fashion 2015’ which will feature a mix of live fashion events, style, hair and make-up demonstrations, and a series of in-store events across Limerick City from the 23rd to the 27th November. 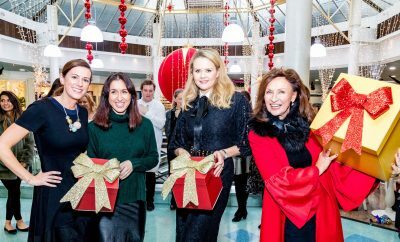 “The purpose of this programme of events is to transform Limerick into Ireland’s festive fashion capital this winter season and complement Limerick’s growing status as a shopping with its dedicated Fashion Quarter and vibrant mix of independent boutiques and high street stores,” explained Celia Holman Lee. “With so much happening in Limerick this Christmas season, a fabulous winter wardrobe is essential to carry you through every festive occasion; be it the Christmas party, racing at Limerick Racecourse or visiting friends and family. 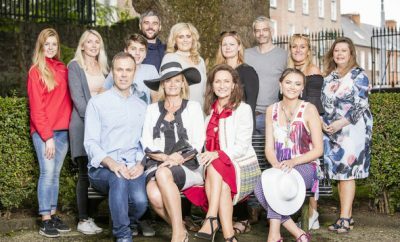 ‘Celebrating Christmas in Limerick – The City of Fashion 2015’ will seek to cater for every need with a range of boutiques and unique stores selling high fashion clothing and distinctive accessories. It promises to add to what is already a varied and exciting programme of events taking place across Limerick this Christmas,” added Ms. Holman Lee. As the home of numerous world-class designers, ‘City of Fashion’ kicks off on Monday 23rd November with the ‘Design & Style at Limerick Craft Hub’ event, showcasing the very best of unique and local Irish design. From Tuesday 24th November, Limerick style retailers will take part in ‘Limerick’s Festive Window Display 2015’ and with special guest judges on hand from The Limerick Leader, The Limerick Post, Live 95FM and Limerick School of Art & Design, prizes will be awarded to the most festive and colourful window displays in the city. Enjoy the new Beauty Hall at Brown Thomas with late night opening on Tuesday 24th also. The ‘Wondering what to wear over the festive season’ event on Wednesday 25th November at Arthur’s Quay Shopping Centre will see feature style, hair and beauty tips from the experts and insider knowledge from the best in the business. The Fashion Road Trail event on Thursday 26th and Friday 27th November will showcase the latest trends and fashions Limerick’s retailers have to offer in a range of instore events. For more information on the ‘Celebrating Christmas in Limerick – The City of Fashion 2015’ click here. Read more about Celia Holman Lee here. Follow Celia on Twitter, Instagram and Facebook here, here and here.